Home » Featured News »	Lynda Moore – Who makes a good Security Officer? 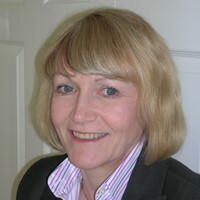 Lynda Moore, a Partner in the Consultancy, FM Contract Watch writes for Infologue.com about personality profiling. Lynda writes: “What type of person do you think makes the ideal security officer? What is the personality of the person at the desk you say goodnight to as you leave your office block? Is he a similar type of person to the man patrolling the building site down the road at 2am with his guard dog? “We have carried out some extensive research with the aim to help recruitment in the security industry which has traditionally had a high staff turnover; the role of security officer is not seen as a long term career choice, but is often a stop gap until something different comes along. We wanted to see if this can change, so we embarked upon a research project with our partner company I-comment 360. “We asked a large number of companies in the industry to ask their staff to complete our personality questionnaire. Those completing the questionnaire got a free one page report, which was also provided to their employers to use for team building activities. We collated and analysed the results, asking the participating firms to flag which employees had been in the industry for more than two years, which were long serving employees (with the company for five years or more) and which were supervisor or management grade staff. “The results really were interesting! But before we tell you about that, we have to stress that although we were finding out the typical profile of a long serving security officer and one that will progress in his or her career to management level. We are not saying that every security officer must be like that. If personality profiling is used at interview stage, the candidate who matches the typical profile may be well suited to the job, but the candidate with the opposite psychological profile may also become a good security officer. A candidate who’s profile does not match what you think you are looking for may just need more probing questions as to how he or she would deal with certain situations. “For example, if you are looking for someone to fill a role that requires sticking to a set process then a person with strong Blue energy would appear to be well suited, and you would ask the Yellow candidate what they would do when a deviation from process appears to get the job done quicker and may have more follow up questions on this matter to ensure that the Yellow understands the importance of the process and you are confident that they will follow it. “So what did we find out? 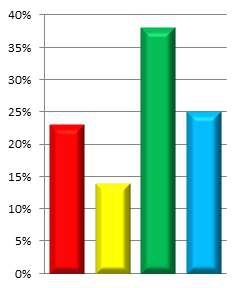 Overall the top colour energy of staff taking part in our research was Green. The proportion of respondents with high Green energy was even higher with those over 2 years’ service and, looking at those with over 5 years’ service, almost three quarters of them had Green as their highest colour energy. One of the attributes of those with high Green energy is the ability to stick with something when they have started, so the fact that Green increases with length of service is not unexpected. The Green’s ability to understand others and their strong sense of duty also seem to fit well with the role of security officer. “Blue was the second highest colour energy shown, showing that Blue traits such as attention to detail and ability to follow procedures are also important in the security industry. Red energy was the third most popular top colour energy and the incidence of Red increased for those in supervisory or management roles; this is to be expected as Red’s are push themselves forwards, are driven and ambitious and will strive to climb the career ladder. “Yellow energy was the least common in the security industry personnel and those with high Yellow energy tended to have been in the industry for less time and to be in lower grade positions. Yellow’s are open-minded, free-spirited, spontaneous and imaginative and these are not traits that we associate with a security job, however that is not to say that a Yellow cannot make a good security officer – they will just approach it in a slightly different way. “We also saw variations by company, with some companies having a fairly even spread of all the colours while others were almost entirely Green at the grass roots level, with some Red energy in their management. This will be reflected in the culture at each of those companies. “Obviously, there are no right or wrong personalities that may make a good employee; however, understanding how they would deal with situations that are not playing to their strengths is the key.